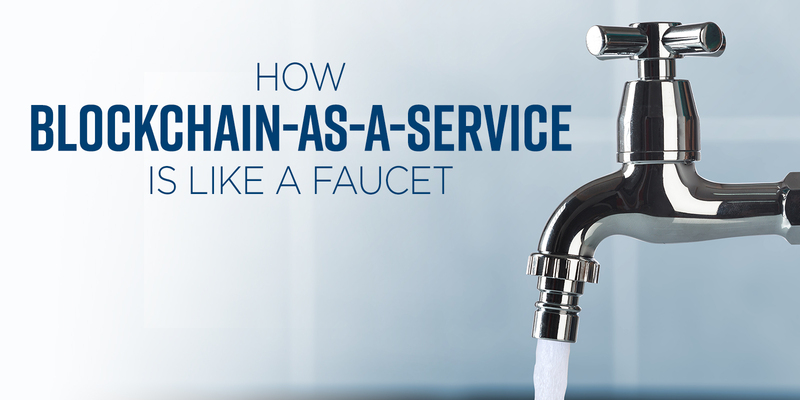 Blockchain-as-a-service enables companies to use blockchain without having to get into the intricacies of implementation. It’s like water out of a faucet. You just turn it on, and you don’t have to know where the water comes from, how it got there, how it was treated, or what the pipes look like. How do companies use BaaS in the supply chain? The value of BaaS for supply chains is in writing smart contracts. When most oil and gas companies do contracts, the company and its suppliers all have different ERP systems and transaction platforms. Many companies employ 30 to 40 people just to track what was received vs. what was billed for. Blockchain provides a single way for everyone to communicate and monitor delivery. It automates the whole process. The company sets up a ledger and if the sub-supplier uses the BaaS technology, they don’t have to do anything additional. If the sub-supplier isn’t using it yet, the BaaS provider helps set that up. Blockchain technology then monitors all delivery of services as they happen. This gives the company full transparency into transactions across the supply chain, regardless of what the underlying infrastructure looks like. BaaS helps companies avoid delays and disputes with suppliers. Without blockchain, if a company and a supplier each have their own systems, they’ll both set up a ledger and they’ll have different versions of the same transaction. But with blockchain, both sides have the exact same copy of that transaction. Why are companies moving to BaaS? Board members are pushing executives to examine blockchain. As with many other technologies, executives are finding that it’s cheaper and more efficient to rent rather than build in-house. There are six major use cases for blockchain and blockchain-as-a-service. Performance contracts. This scenario is the most popular and is realized when a company has an incentive contract with a supplier. If the supplier exceeds measures, they receive a bonus. However, if they fall short, they pay a penalty. Blockchain allows the companies to electronically measure and encode all terms of the contract so there can be no dispute. Document origin tracking. This scenario occurs when a company has a piece of equipment and wants all of the documentation, service, and manufacturing records for it. You can put that information on a block so it’s all in one place. Then you have a complete and indisputable record of everything that’s happened with that piece of equipment. Resource sharing. Right now, many companies maintain their own fleets, but if they could better share information regarding their fleets, they could look at sharing arrangements to save at least 30 percent of fleet costs. Blockchain offers a trustworthy and reliable way to measure and pay according to actual usage of fleet resources. Single window. This use case is for handling the paperwork involved when ships cross from international waters into national waters. Blockchain offers a way to put all of that data in one place, so government agencies can easily track boats and ships. Single window was designed as a governmental reporting capability, but companies could potentially do much more with it. Contract execution. Blockchain enables both sides of a contract to see how it’s being fulfilled. This single source of truth eliminates the need to go into multiple systems to monitor progress. This transparency helps companies pick the best suppliers and helps contractors get paid more quickly. As a result, BaaS improves efficiency immensely. Spend rationalization. Companies spend across hundreds or thousands of suppliers with multiple different systems and geographies. Blockchain is a way to bring all that together so you can see what your spend is and start to rationalize and optimize it. What advice would you give to leaders who want to move forward with BaaS implementation? Blockchain will fundamentally change how business is done. But you don’t have to build it yourself. The value proposition is that BaaS is a lightweight, elegant solution. Just find a BaaS vendor and give it a try. It’s not like implementing an ERP system where you’ll sink a lot of money into it and then be stuck. You can take it for a test drive and if you don’t like it, you can undo it because it doesn’t impact the underlying systems. What advice would you offer to supply chain leaders? Don’t use a public chain. When you’re participating in a public chain, you’ll end up with some nasty stuff on your corporate computers. Use a private chain. Other than that, I’d recommend that they try BaaS. Blockchain is going to sweep the industry, and you don’t want to get left behind. You don’t need to spend a lot of money or time on it. I would allocate four months for a proof of concept to see if it works for you. You can read the rest of my interview with Andrew Bruce in this article: How Blockchain Improves Performance in Oil and Gas Supply Chains which is part of APQC's collection Exploring the Impact of Blockchain on Supply Chain. I'd like to hear your thoughts about blockchain and blockchain-as-a-service. You can comment below, email me, find me on Twitter at @MB_APQC, or connect on LinkedIn. Thanks!